Design and layout for this Parks and rec community center was closely developed with the help of MoveStrong and Westwood Fitness staff. 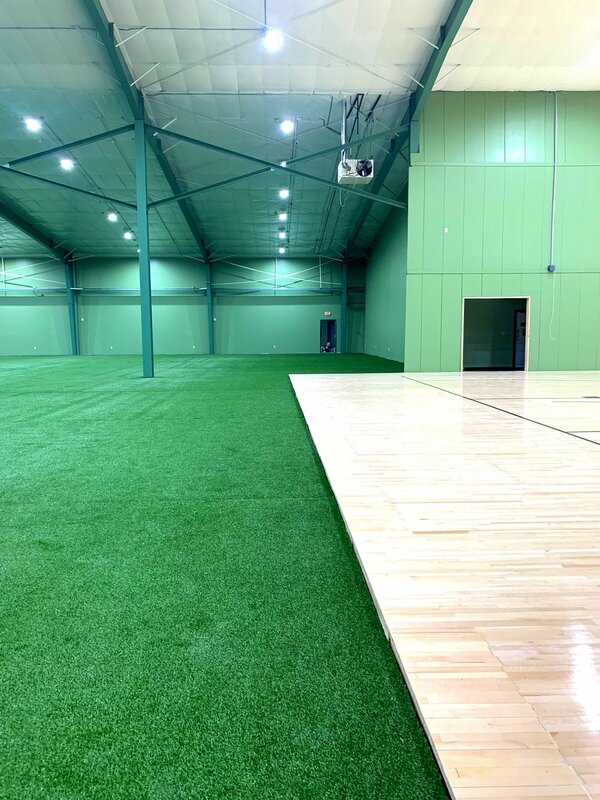 The importance of a large artificial turf area was important for all team sports, performance training, and functional fitness workouts. Rubber flooring was added to the weight training and functional fitness area as well to provide traction for fitness, ninja warrior, and obstacle course workouts while holding up to against wear and tear of free-weights.